Fencing inspires confidence, camaraderie and good sportsmanship. Your generous donations enable us to share these benefits of fencing with others including our outreach to establish more fencing classes in underprivileged schools and programs for Veterans to have a place to come together. Please select the campaign you would like to support by clicking on the images below. We greatly appreciate your generous support. For donations of stock and/or assets, please contact our office at 212-807-6946 or e-mail info@fencersclub.org. As a 501(c)(3) not-for-profit organization, all donations to Fencers Club are tax-deductible to the extent permitted by law. CLICK HERE or on the photo above to donate to this campaign. 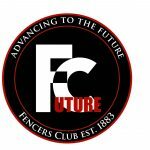 Since 1883, Fencers Club has been at the forefront of fencing in the United States. 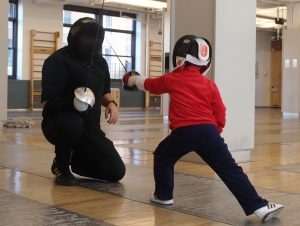 Your gift will help us continue to pursue excellence in fencing, character development and community initiatives that reach thousands in NYC and across the globe. CLICK HERE or on the photo above to donate to Fencers Club Vision 2020. The Chamley-Watson Cup is the first ever youth fencing competition to honor the fencing accomplishments of Miles Chamley-Watson. Through this competition, we will show children, teens and their parents that there is a future in fencing and Miles will be able to act as their mentor.